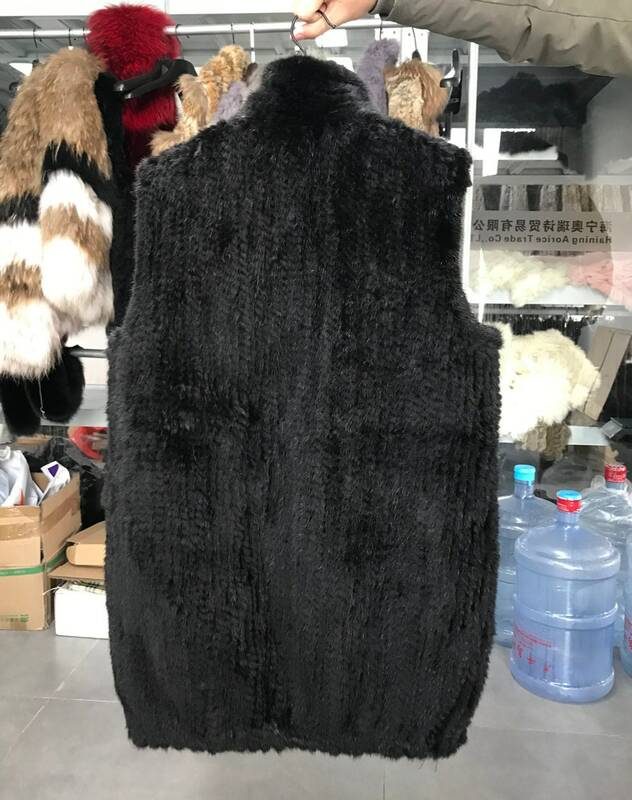 Knitted Mink Fur Vest, Real Fur. 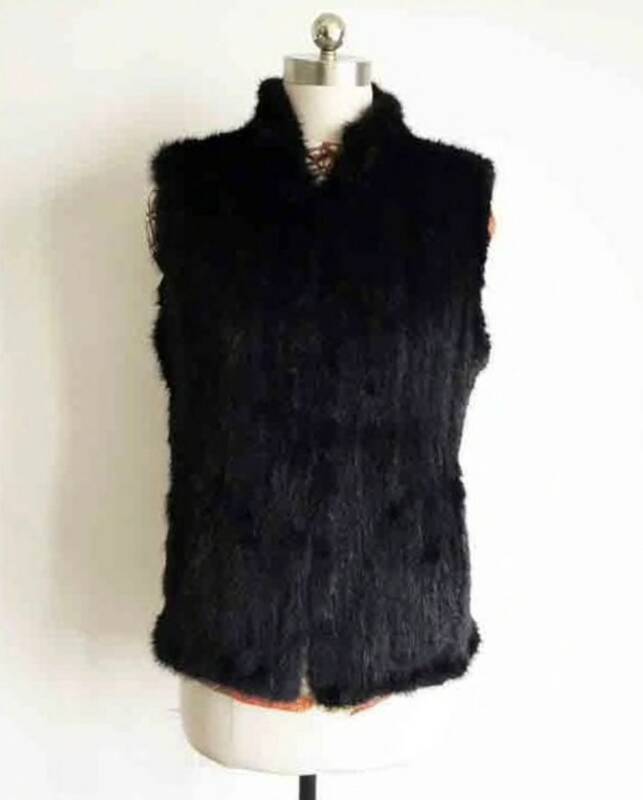 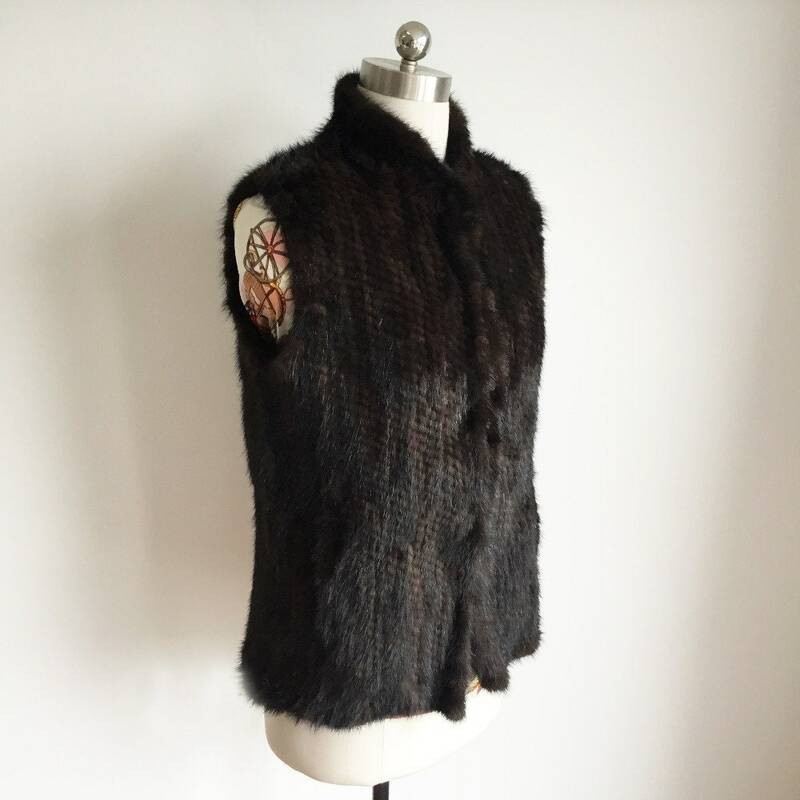 Discounted - Super soft and very warm knitted mink vest. 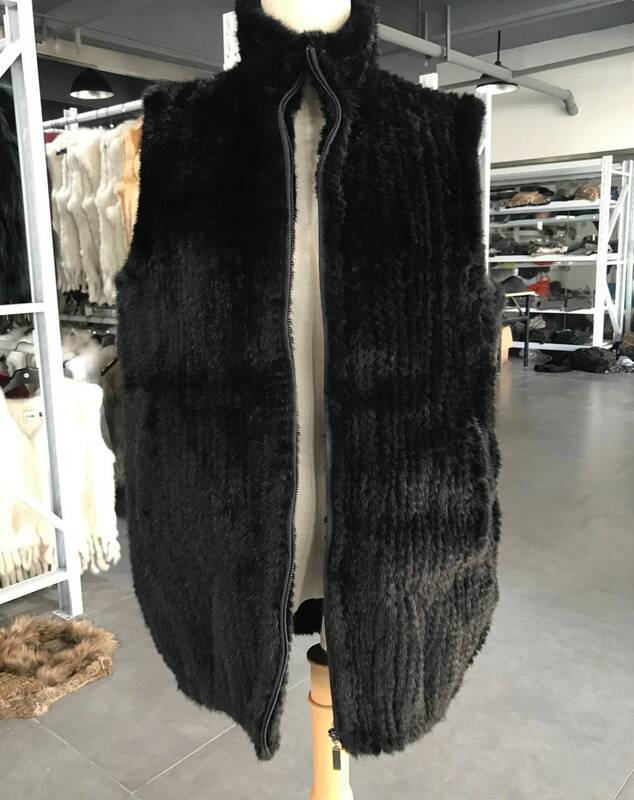 This has hooks and loops so you can close it if needed. 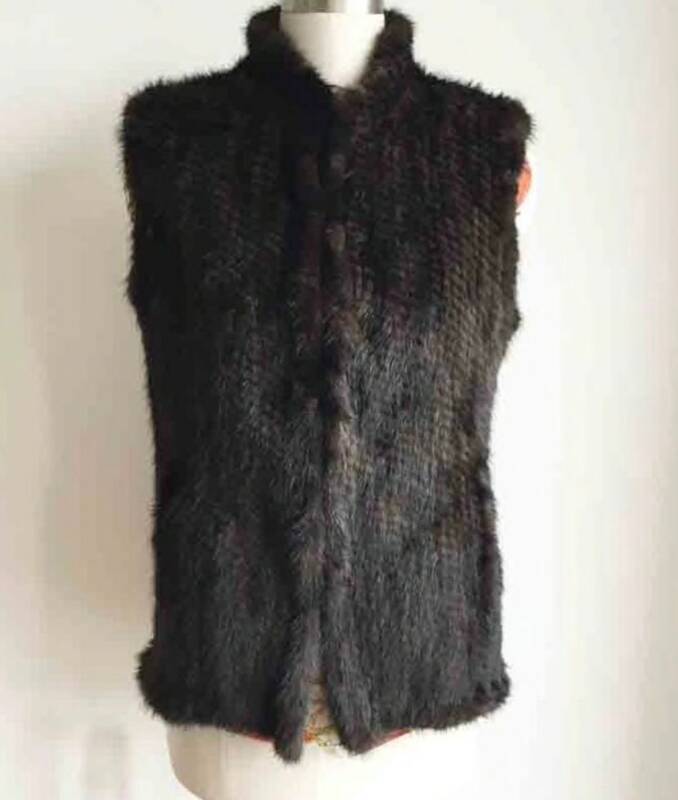 Comes in black or brown. 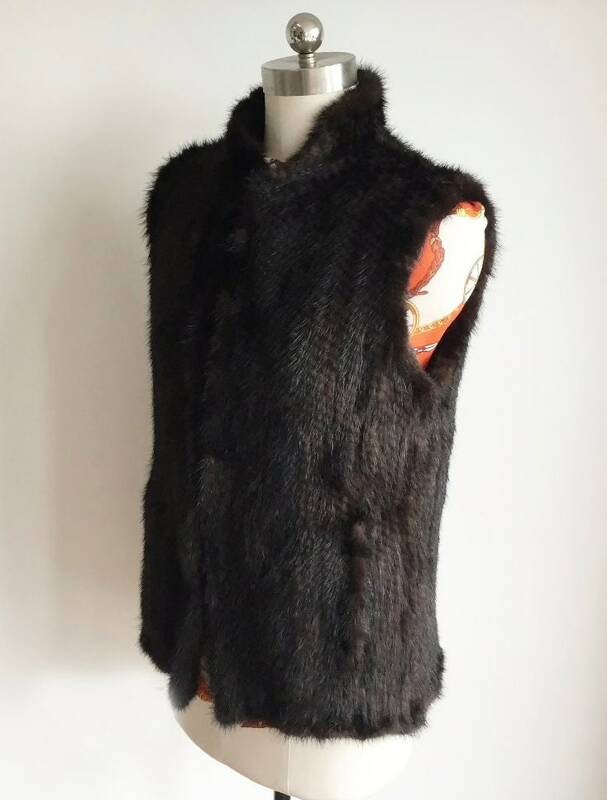 Lovely and thick with no lining. 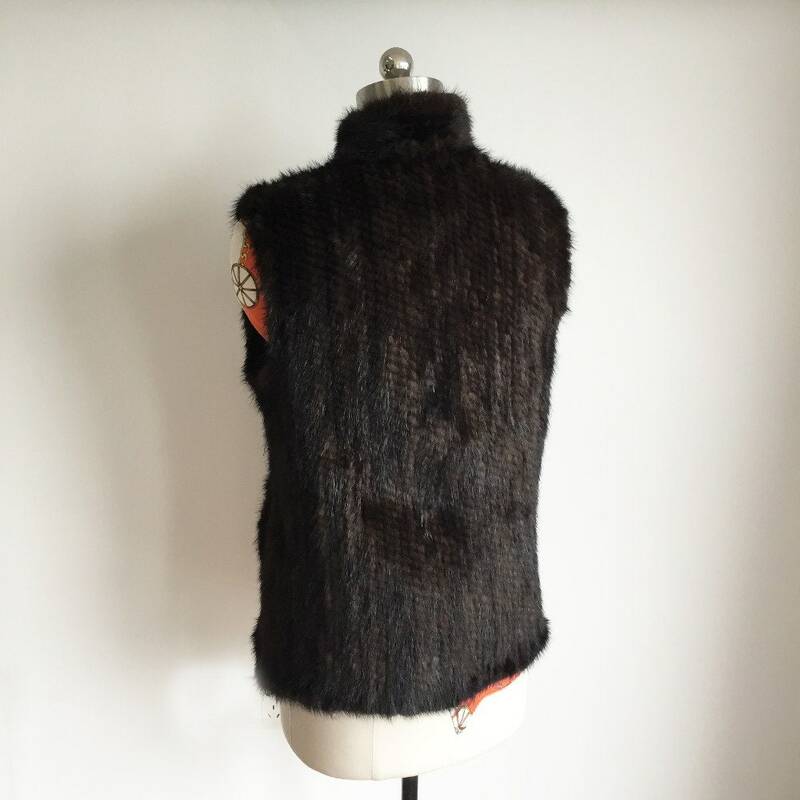 The last 3 photos are from a custom order. 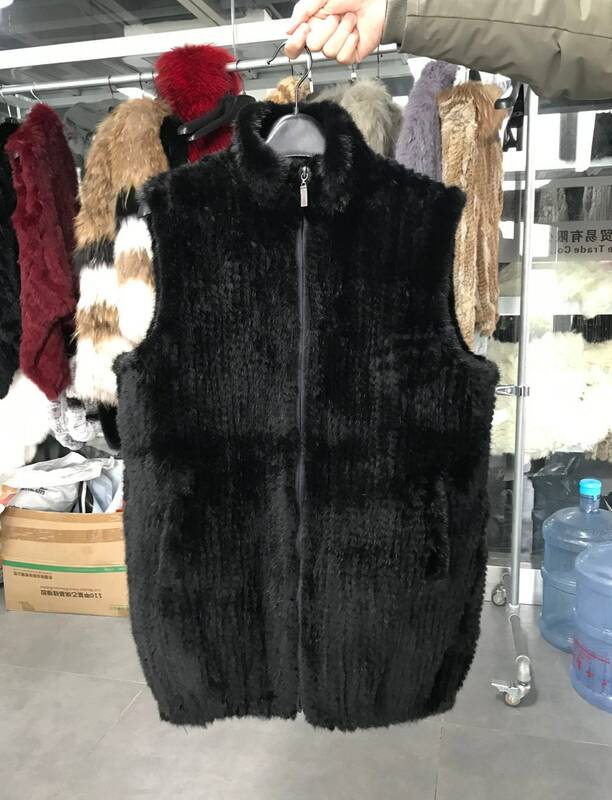 He requested the vest made bigger to fit a man. 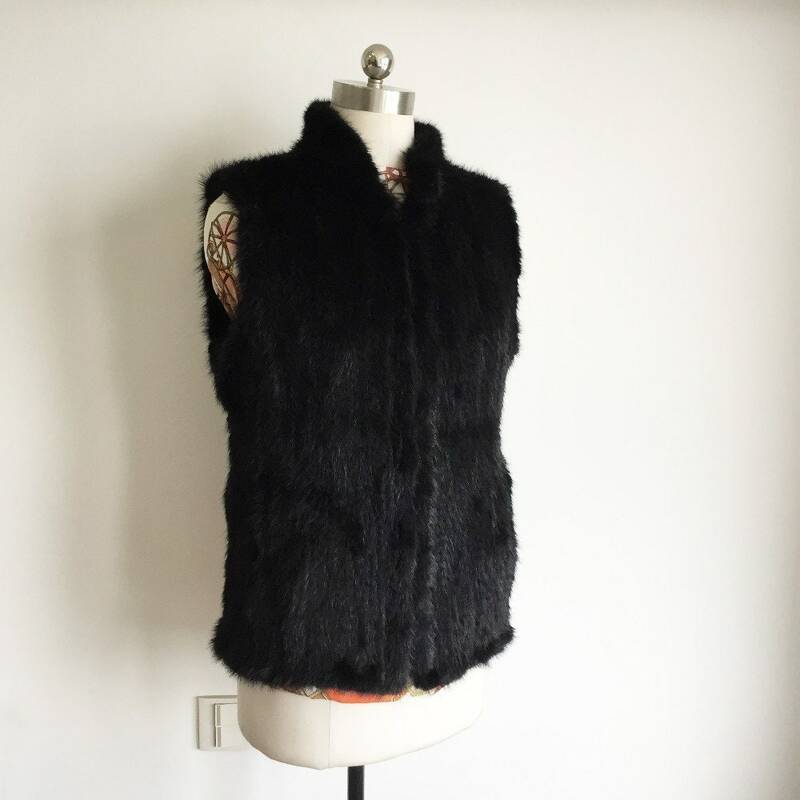 My staff did an amazing job creating the custom fitted mink vest.